As we come to the end of the split Round 21, let’s have a look back over the last two weekends of football and race into some talking points. Round 21 was split across two weekends to accommodate sides playing in the continental tournament. There were complaints A-League sides were travelling thousands of kilometres in round trips weekly to play essentially three games a week, so clearly something had to change. However, it is one thing to make the effort to assist A-League sides in Asia, but clubs still have to take advantage of it. As well, while the split round seems like the only viable way to make travelling across Asia work, what the split round has resulted in is a fairly uneventful weekend, with two games involving three of the bottom-four sides. Again, the A-League is intent on maintaining a finals series, and yet they are splitting up the competition in the run into the finals, meaning four of the current top six sides will only play one game over a three-week period. It’s all well and good for the A-League to bend over backwards to help sides as they attempt to progress through the Asian competition, but given it’s heavily impacting on the domestic season, surely it’s incumbent on the sides to make it count. Poor crowds and disappointing results are a poor outcome when you consider the impact the Asian competition is having on season 2018-19. 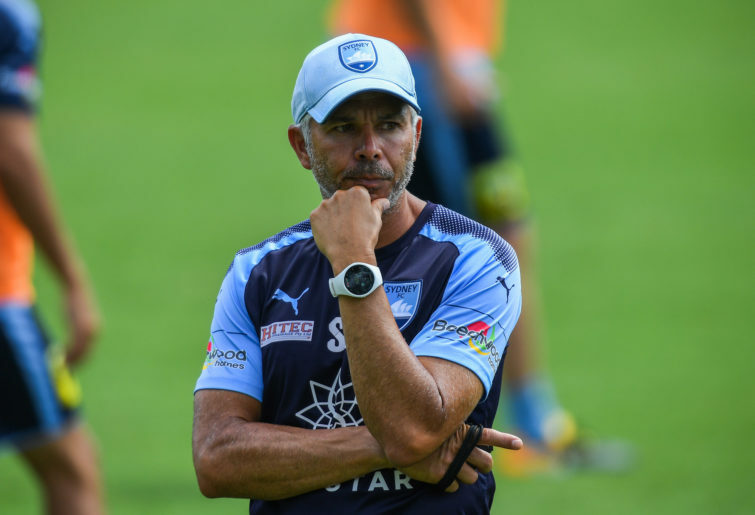 It was never going to be easy following on from Graham Arnold, but for Steve Corica it was not simply that he was taking the reins from an experienced, loved and successful coach, it’s also that he was taking the hot seat for one of the biggest football clubs in Australia. Corica has copped his fair share of criticism this season as Sydney has ambled from game to game, yet with six rounds to go they are entrenching themselves in the top two and look the goods to go to what would be their third preliminary in a row. And make no mistake, a win at home against Adelaide United, particularly this season, is no easy feat. Adelaide have their own issues at the moment, finding themselves suddenly in a four-team scrap for the final three post-season spots. As for Sydney though, identity or not, if Steve can get them to another grand final, he may have a fair amount of time to craft this team into whatever image he has in mind. 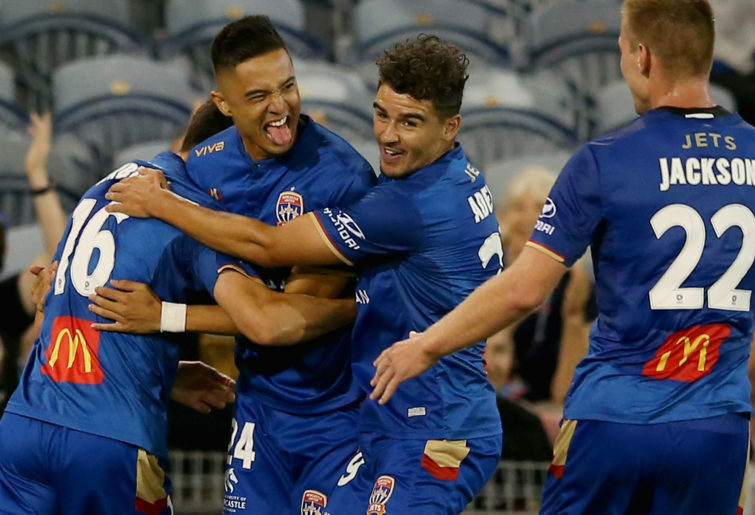 Are the Newcastle Jets actually the real deal? Several weeks ago, as Newcastle languished outside the top six. Ernie Merrick said he remained confident his side would feature in the finals, at the time looking like a man trying to convince himself as much as anyone else. Yet with six rounds to go and a somewhat surprising 2-0 win over reigning champion Melbourne under their belt, they are within touching distance of that sixth finals spot. Melbourne suddenly have serious issues, conceding goals at will – in fact the first goal in their last five matches have all been concessions. But it is one thing for a team to be struggling, Newcastle still had to take advantage of it. The Jets have been fairly profligate in front of goal this season, so it would have delighted Ernie – perhaps even more so than the clean sheet – that his strikers managed to do what they have rarely done this season: take their chances. The highlight was obviously Dimi Petratos’s final strike to seal the deal. For a player under huge pressure this season and seemingly out of form, a strike like that to seal the win would have heartened him no end. Can the Jets keep flying? At this rate it remains possible. It is an age-old adage that you play the game until the final whistle. You hear it from a young age, they drill it into you at training, and no matter how often you hear it, there always seems to be teams that simply don’t get it. Melbourne City, whatever is going on in that club, simply do not seem to know how to get all the parts moving to make the team work. Warren Joyce wants to form a strong defensive unit, but he doesn’t appear to have the players he wants to make it happen. So with ten minutes to go, as the Bruno Fornaroli issue had finally and excruciatingly resolved, Warren must’ve been thinking that he would finish off with a morale-boosting and confidence-restoring win and could start focusing on finals. Sure, there is absolutely no disgrace in dropping points against the runaway ladder leaders. But dropping two points because you conceded two goals in the space of seven minutes moments away from a win? Well, that’s a different story. Warren Joyce should be sweating because when you build a team on defence that is no longer defending, it doesn’t really matter whether they make finals. Even if City make it, it doesn’t really look like they’d achieve that much. That was a top win by the Wanderers in Brisbane. After an early strike to the Roar, the Wanderers composed themselves and got the best out of Oriel Riera and Roly Bonevacia. Mitch Duke got on the scoresheet and the Wanderers continued to look like the team that everyone expected them to be when Babbel came onboard. That would be frustrating to the coach. While still seemingly in the running for finals, it took Western Sydney about 20 rounds to finally perform. In a 27-round competition, leaving your run that late is bold. Very bold. Injuries of course play their part, but from the outside looking in you struggle to see what Babbel started doing so differently that the Wanderers look like contenders, a distinct turnaround from their early season form. 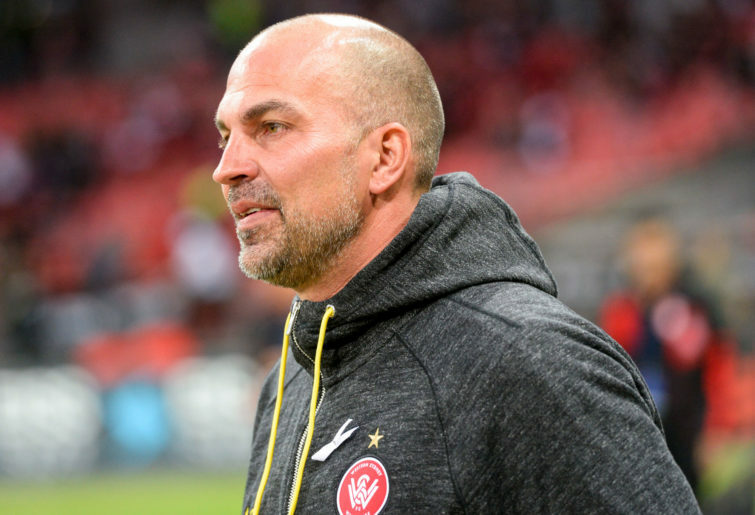 Whether Babbel gets another season to create the team he wants, only time will tell – just ask Josep Gombau; do not be surprised if you are shown the door. But here’s hoping that Babbel gets that chance, because if the last few rounds are anything to go by, the Wanderers could really be something good. As for Brisbane, well, they would just have been happy that the Central Coast are still in the competition. What do you make of Central Coast? As I watched Wellington drill in just their sixth goal in an hour against Central Coast Mariners at Gosford Stadium – proving that anything Brisbane can do, the Mariners can do worse – my mind wondered off to young Andrew Hoole, who was watching from the sidelines. Dropped for discipline reasons, Hoole found himself on the outer for the game against the Phoenix. The thing is, the Mariners are not doing well enough to be able to afford to drop one of their better players. Yet credit to the club for dropping the player, and we will see how the Hoole situation plays out over the next week before next weekend’s F3 derby. But as the Mariners put in another rock-bottom performance, giving last season’s 8-2 loss to Newcastle a run for its money, you just can’t help but wonder how the little Gosford club can come back to prominence. Heavy losses, zero crowds, ill-disciplined players – jeez, who would want to be Mike Mulvey right now?